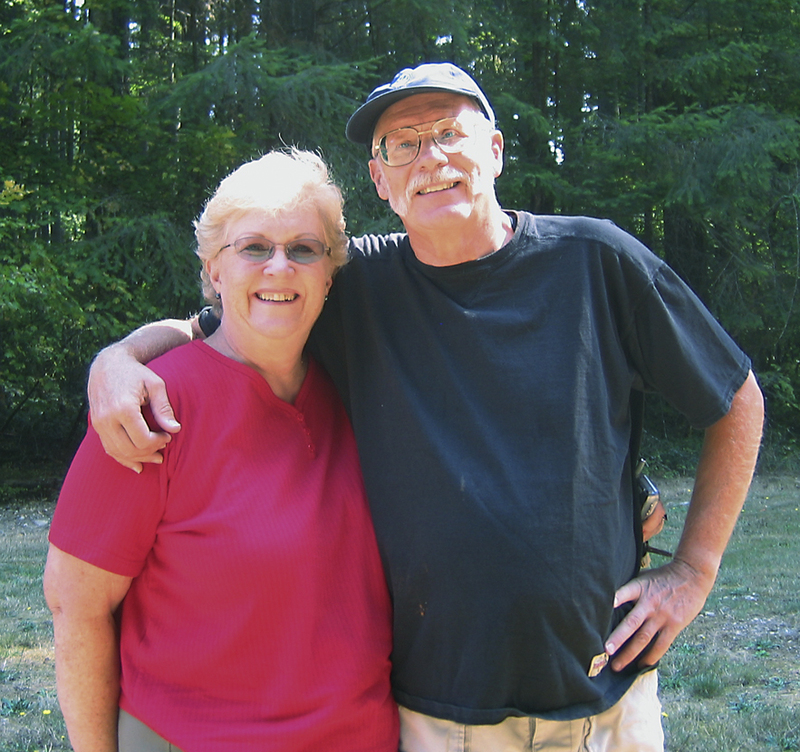 On Friday, October 24th Dave Swan passed away due to a pulmonary embolism. When he died Sam, his wife of 36 years, was by his side. His passing was quick and unexpected and it leaves us with a hole in our lives that will soon be filled with memories and hope. The hope will come from faith, but the memories will come from those who knew Dave over the past 74 years. We ask that you share stories with us so that we, especially Dave’s grandchildren, will have many wonderful memories of Grampa Dave to ease our sorrow and make us laugh. For, if anything, Dave knew how to make people laugh and feel good. Please feel free to post photos, if you have them. will always remember dave’s kindness and sense of humor. my condolences to his family and many friends. Dave was adventursome inspiration to us all. His sense of humor and his willingness to share all those wonderful chapters in his life with Sam over dinner and a glass of wine are some of our fondest memories. We will miss him terribly. I will miss Dave’s great sense of humor and sharp wit. I never knew what he would do or say when visiting our office at COCC. Yet, I willingly posed for photos from changing a tire in high heels to wearing King Tut jewelry for a spread in The Bulletin. Keep them laughing where ever you are, Dave. Bob Mathews just let me know of your loss. Please know we are thinking of you and send our condolences! Dave was a great guy and will be dearly missed – he was one of a kind! I knew him for many years starting with when we both worked at The Bulletin. He was a lot of fun and his sense of humor always made you laugh. So sorry for your loss..
I’m so sorry to hear that Dave has left the building… Dave is such an important person to all of us and his spirit that he shared so freely will be with us forever and will be a part of my contact with everyone. Dave and Sam, you are influential mentors to me from your time in Bend at Q Photo! I am forever grateful for your support and friendship! Dave was very gracious and provided never ending good cheer in the face of my frantic commercial efforts. I was heartbroken when you left Q Photo, You were a social and professional center to my life! But, it was exciting to wish you bon voyage and hear about your travel adventures! So as we send Dave off and remember all he shared with us, I send you Sam, and your family my deepest sympathies and wishes for peace. Sam, we were very sorry to read of Dave’s sudden death — but it seemed fitting that we would learn this news via The Bulletin… We all were so young and new in our careers together — where did the time go? I think many of his friends posed for him: Margie’s photo op was with an early sign of spring — some daffodils — it was chilly getting down to the level of the flowers for the photo! I was glad to hear you have used your retirement playing! Dave was a very talented photographer and we enjoyed knowing him. His photos (just for The Bulletin) would fill several books! I’m sure his grandchildren will learn a lot about him just by looking at the subjects he chose to capture. This book, to include friends’ memories is a great idea. Davey and I lived a kind of “idyllic” child hood … typical middle class … however, as he was 5 years older than me, I was frequently considered a fly in the ointment. He had his friends and I had mine and we lived very separate lives. As we got older we compared our pasts and discovered we had some very different memories. It wasn’t until Dave attended “Wings” that we started to really connect. He bugged me until I went … and from that time on we grew closer and closer. With both our parents dead, it was only “us” with the old memories and we investigated our histories more. He invited me to assist with the OBR and that was the beginning of our “enjoyment” of each other. I worked on the Bicycle Ride for 17 years and looked forward to it every year, especially to spending time with Dave. Even after his retirement from the OBR and his business, he was always keeping in touch … via e-mail and by phone. I’ll miss his regular phone calls and amusing e-mails … and the reassurance that I could always count on Dave; he has shown up for some of my major life events. Always with a smile on his face and a joke in his heart. Our last time together was a quick road trip to San Antonio to visit with my Foster Sister and her husband. We took an extra day to tour the Alamo and various places in that city and have dinner on the River Walk. Weather was miserable, but we had a great time. I’m so glad we took that extra day to spend together … I’ll cherish the memory for years. Dearest Davey … I miss you terribly. May you rest in peace, however, as we’ll all soldier on without your marvelous sense of humor and great smile. fashion. Always positive seeing every aspect of humanity. Dave taught me photography. I was a young photographer who worked part time for the Bulletin. He was both patient and demanding of me: He taught me to have a critical eye and uncompromising standards for composition and printing work. I last saw Dave in 1973. I will always live by the standards he set for me . . . The highest compliment anyone can be remember by is this: He made a difference in life. He did. I will be forever grateful.